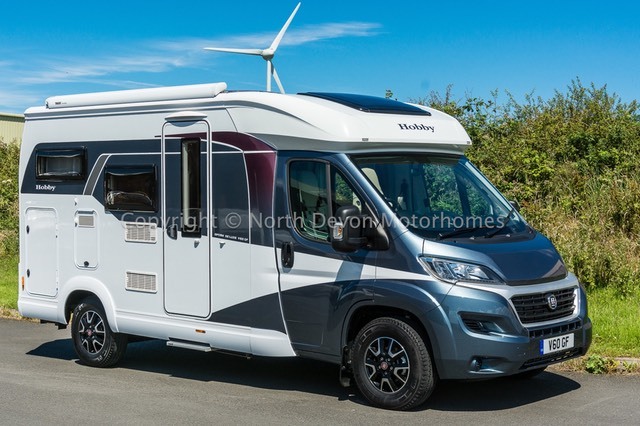 SOLD: Hobby Optima V60GF, Fiat 2.3 Multi-Jet, Compact Low Profile Motorhome, 2 Berth, Rear Fixed Bed with Garage, Save over £5,000. 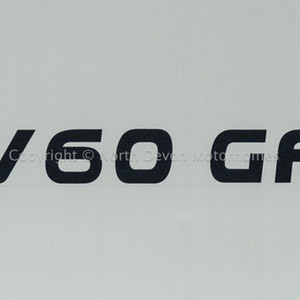 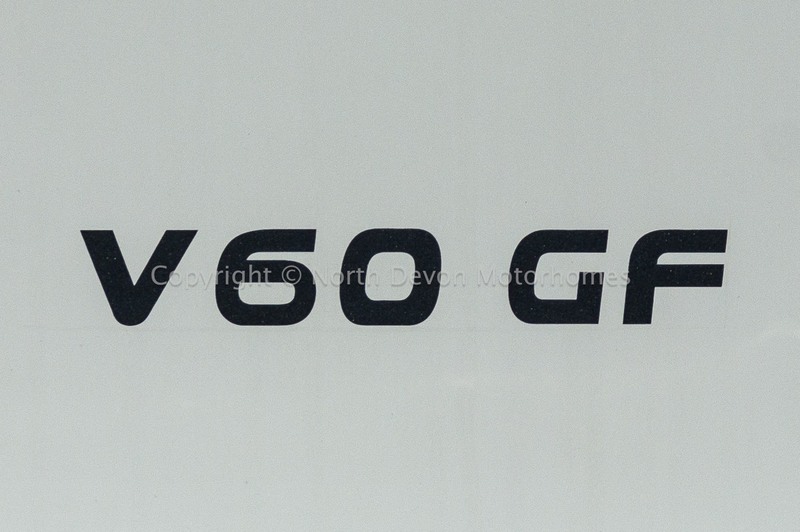 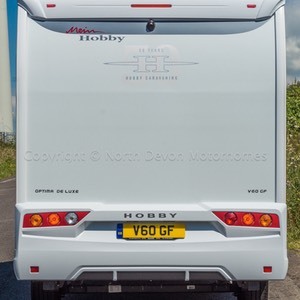 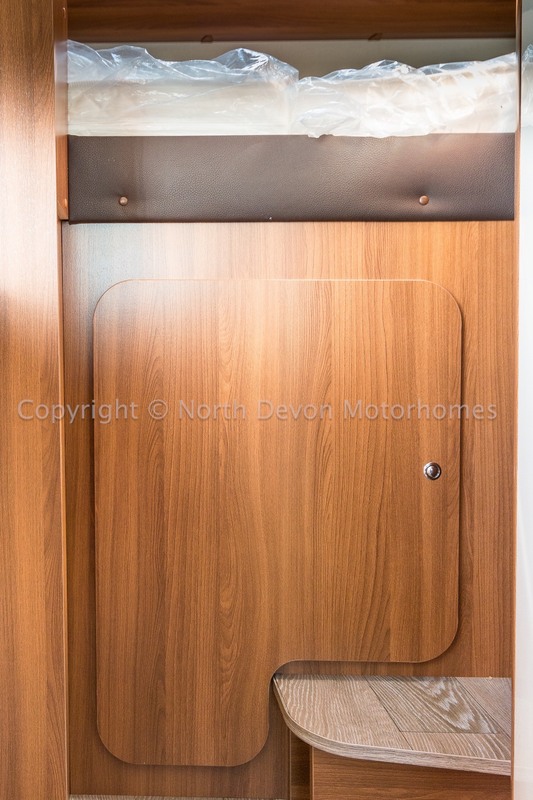 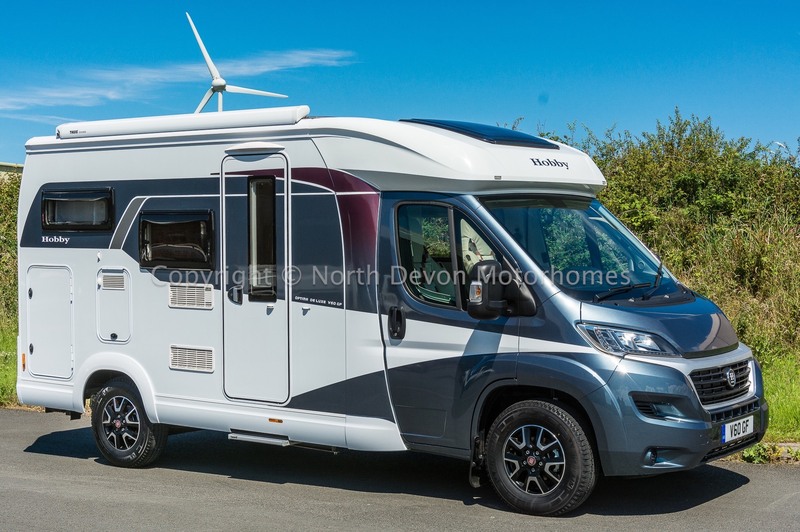 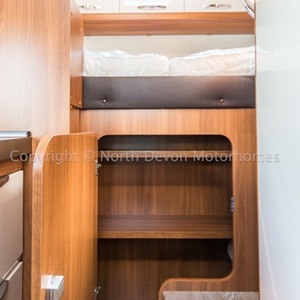 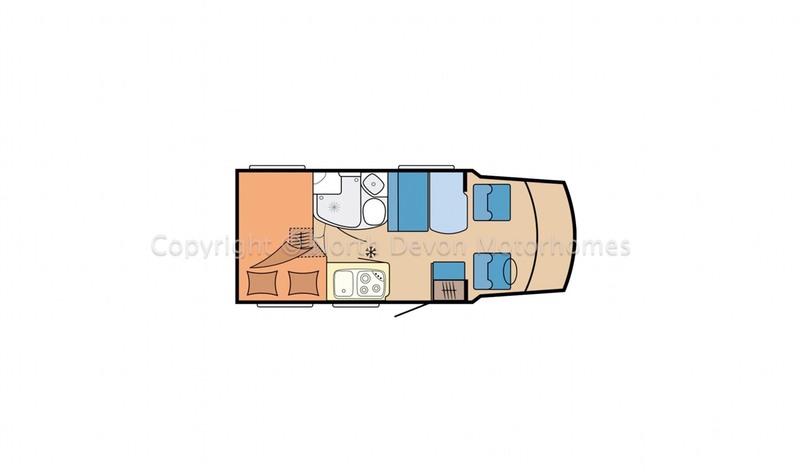 New - Hobby Optima V60GF Deluxe, Fiat 2.3 150HP Multi-Jet, 2 Berth Low Profile Motorhome, Fixed Bed, Fully Loaded. 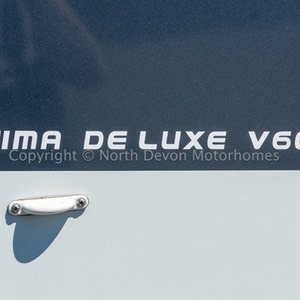 The Optima De Luxe comes fully equipped with high-quality standard package, so you can enjoy a carefree holiday with home-from-home comfort without the costly extras or special accessory packs. 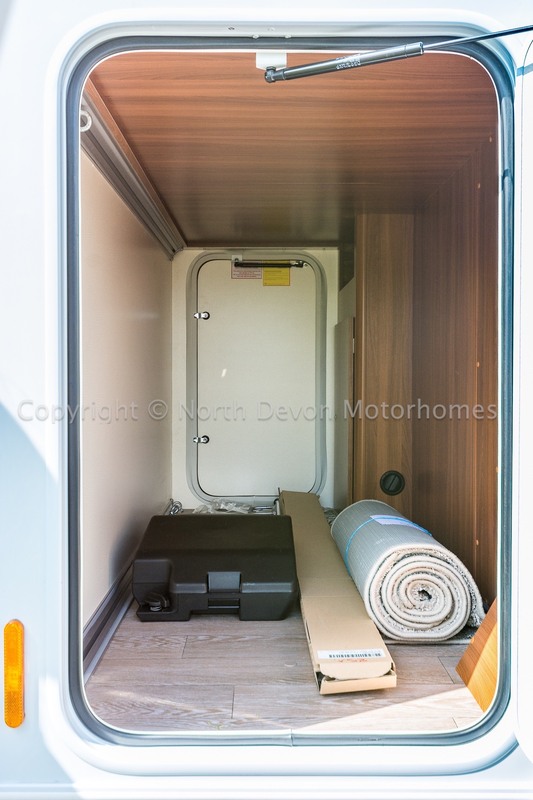 The Optima range comes all-inclusive with many items of specification now standard which would have previously been optional extras. 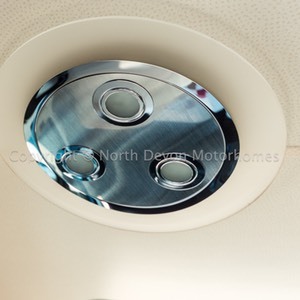 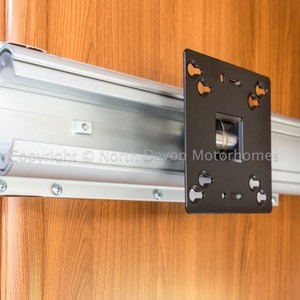 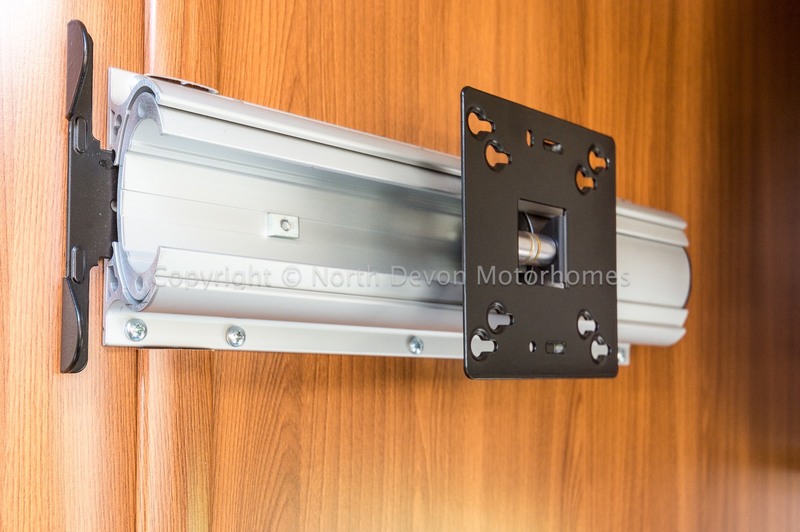 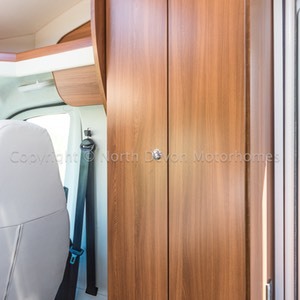 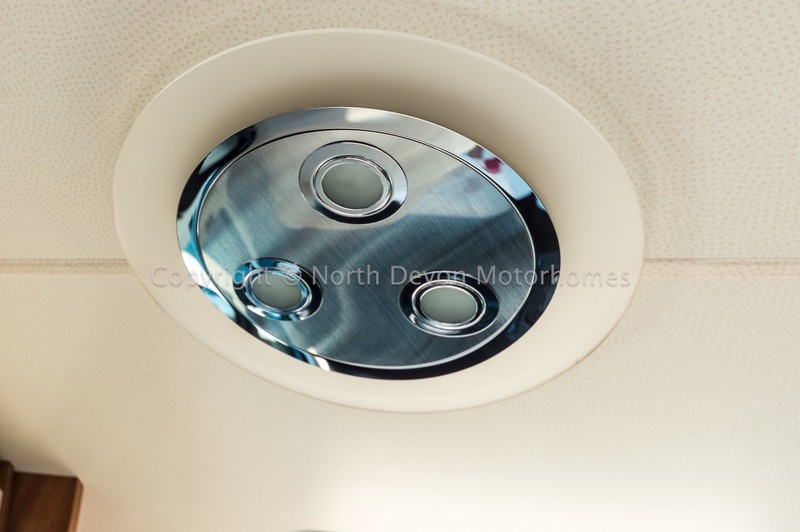 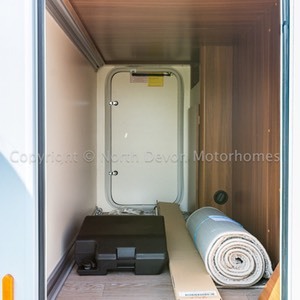 These items include for example: Black-out blinds to the cab windows, entrance door with insect protection, Fiat alloy wheels and a roof mounted awning canopy. 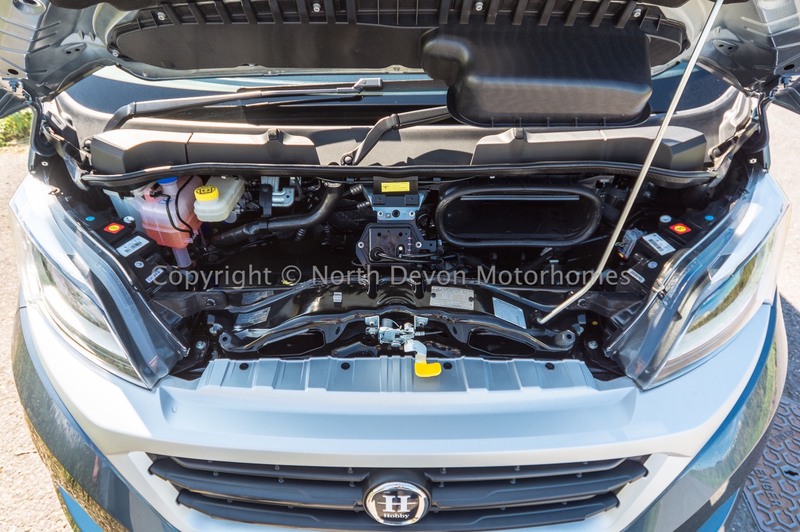 This vehicle also boasts having front fog lamps, interior LED lighting package, cruise control, cab air conditioning, driver and passenger airbags, leather bound steering wheel and gear knob, Blaupunkt double din media player with sat-nav and integrated reversing camera. 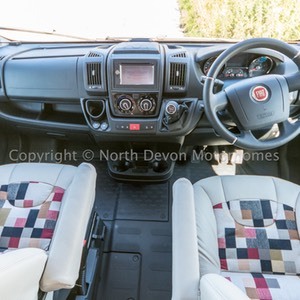 Electric mirrors and windows, Cruise control, Aircon, 6 speed gearbox, PAS, Blaupunkt (CD/DVD) navigation system including reversing camera and pitch database, Swivel captains seats, 2 Airbags, Remis pleated blackout blinds to windscreen and cab side windows. 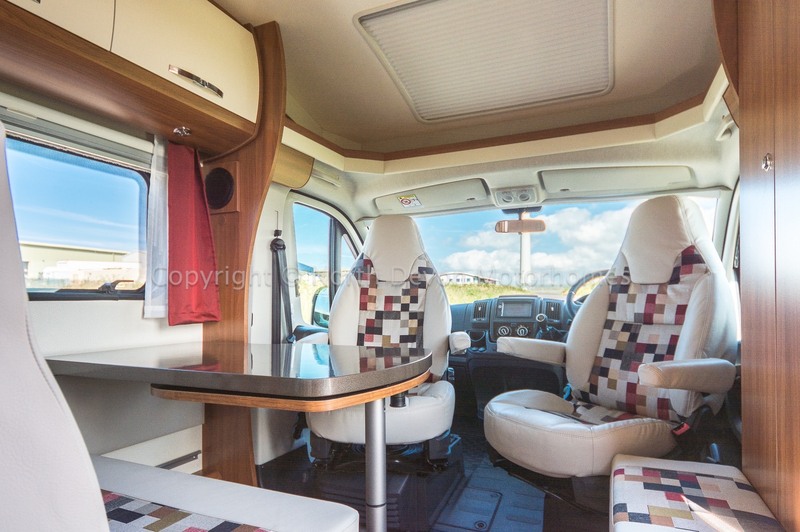 Four belted seats, Drivers and Passengers plus two traveling. 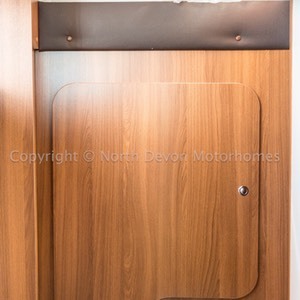 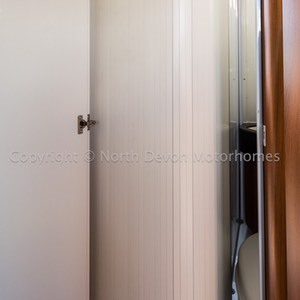 Two Berth, One transverse double at rear. 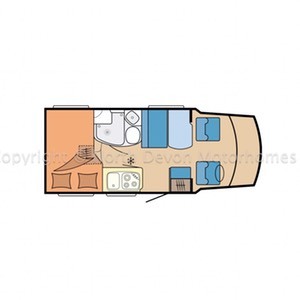 Transverse double over garage, overhead lockers, spotlights, heater controls. 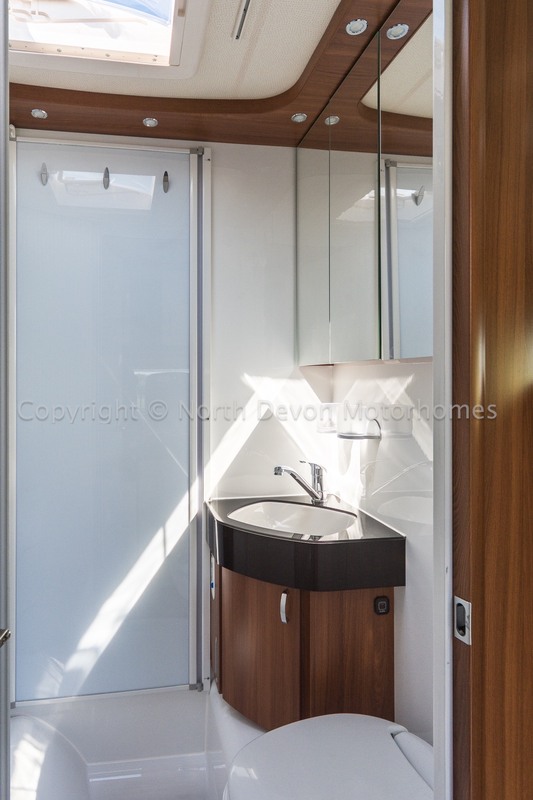 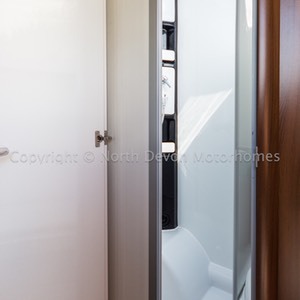 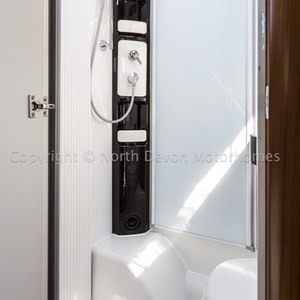 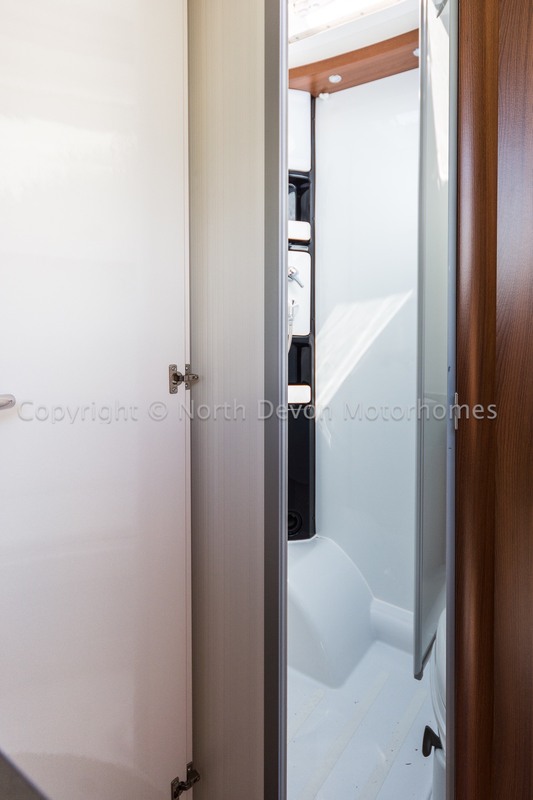 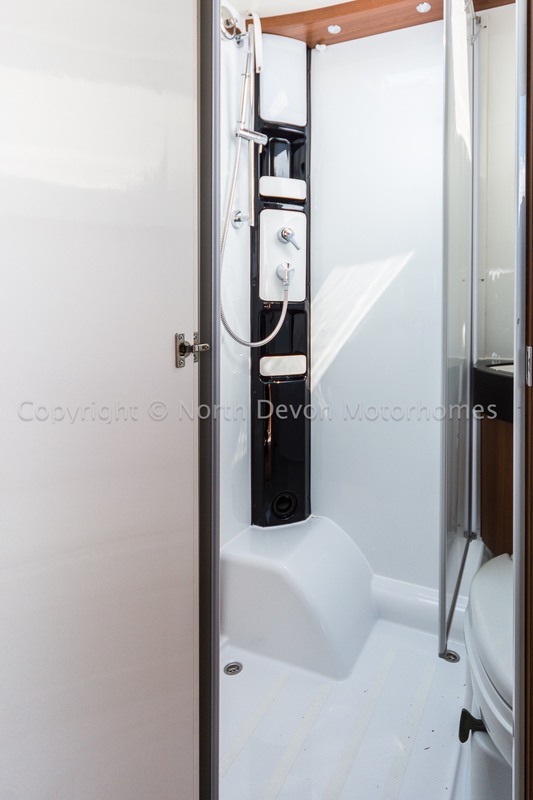 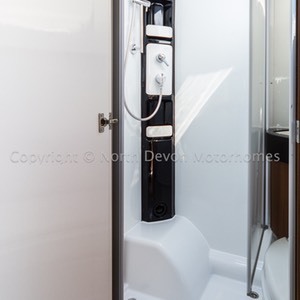 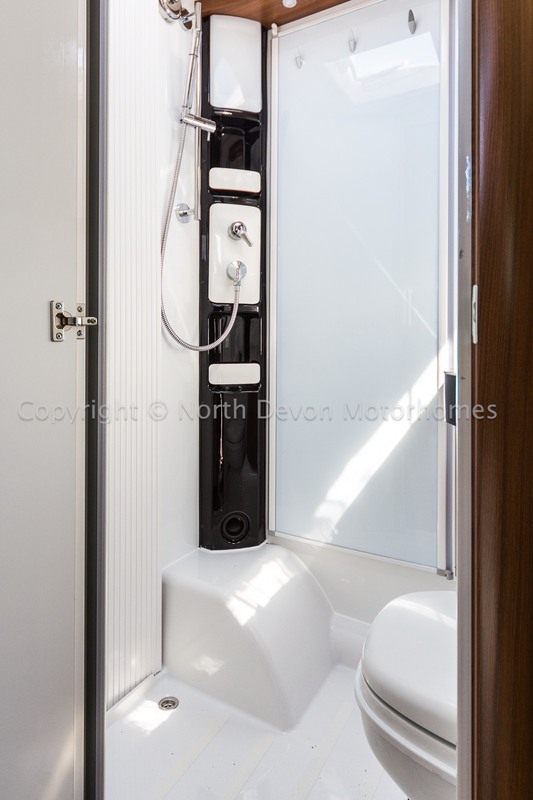 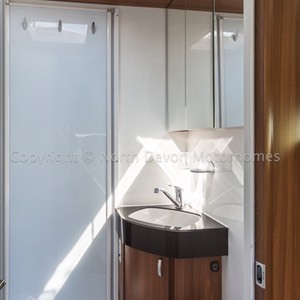 Swivel cassette toilet, moulded corner sink with cupboard under, large mirrored vanity unit, shower with sliding door, retractable washing line. 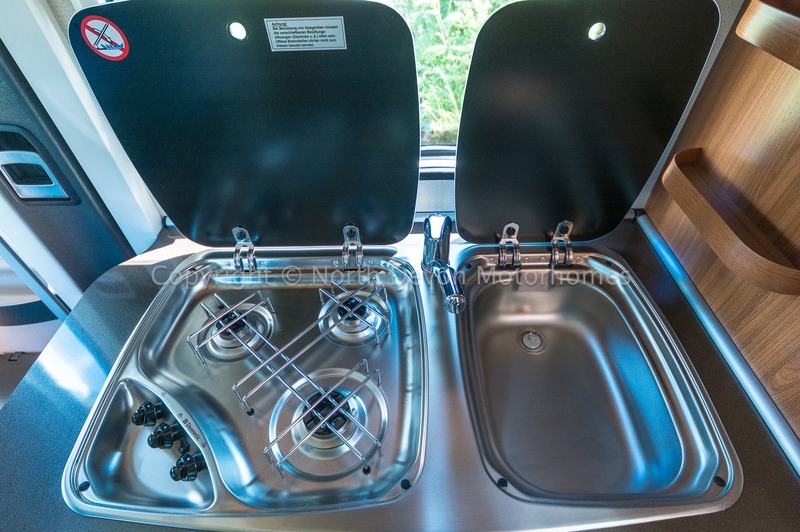 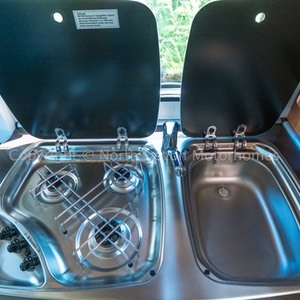 Three Burner gas hob, Sink, Three way fridge, high and low level storage with soft closing drawers. 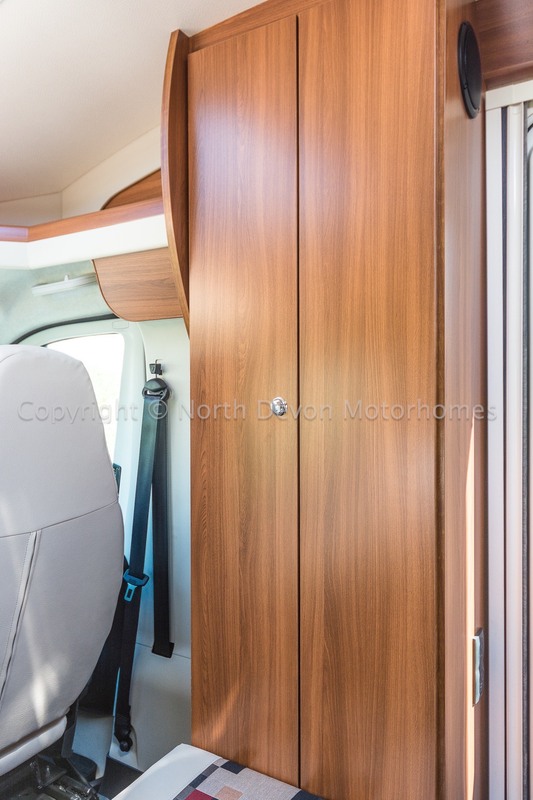 Half dinette with forward facing belted seats, driver and passenger seats swivel to incorporate into the lounge. 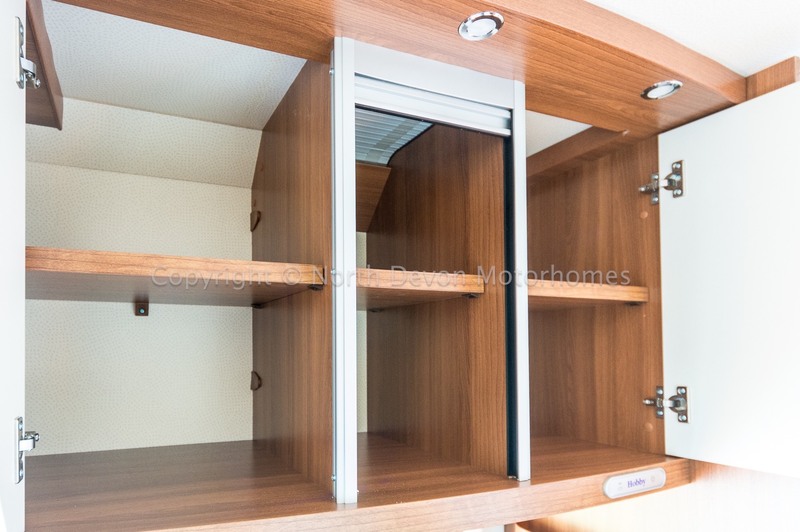 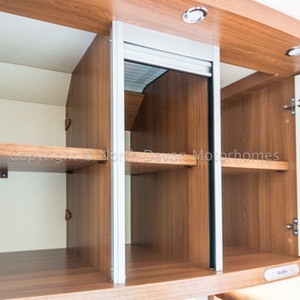 Extendable table, TV Station, Fly screen on sliding entrance door, wardrobe. 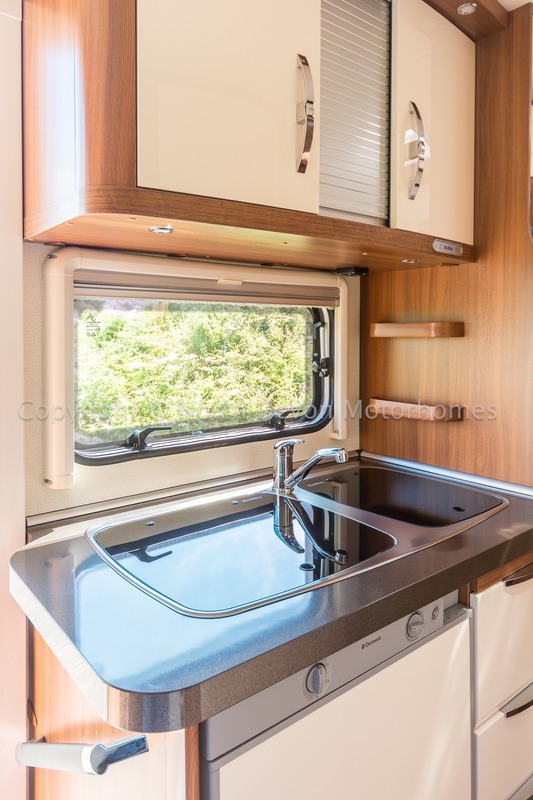 Truma Combi 6E providing hot water and heating to both kitchen and washroom running on both gas and electric. 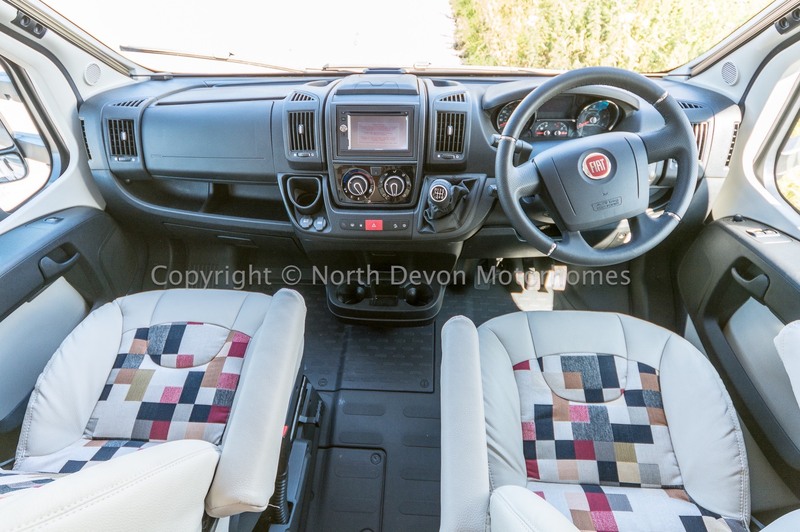 Chassis Package: Passenger Airbag, Passenger adjustable seat, electric and heated mirrors, ESP, ASR, Hill-holder, Traction+, Fiat radio antenna, Chrome instrument panel, LED day running lights, Leather bound steering wheel and gear stick, Air conditioning. 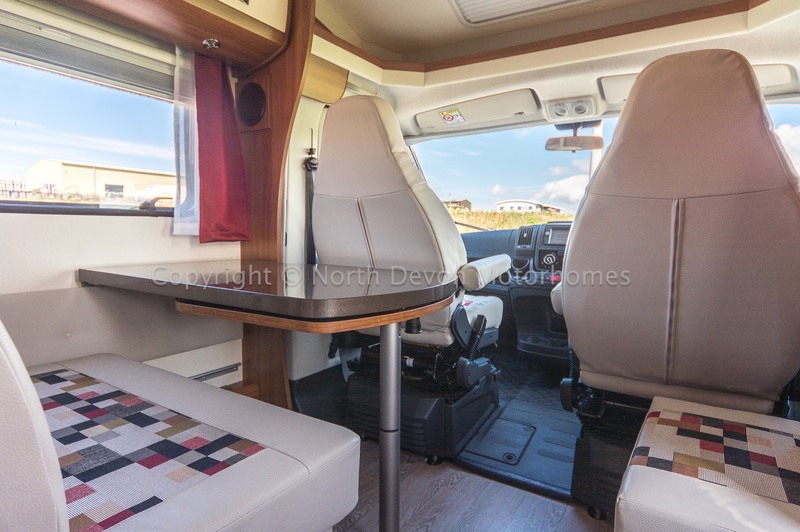 Starter Package: Drivers and passenger seats covered in same upholstery as living area, Floor mats, Hobby management with HELLA battery sensor, Pleated fly-screen on hab door, REMIS pleated black-out blinds for cab area. 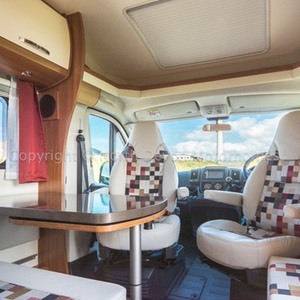 Multimedia Package: BLAUPUNKT CD/DVD navigation system with reversing camera and pitch control, TV bracket and two additional speakers in living area. 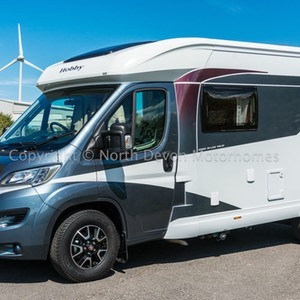 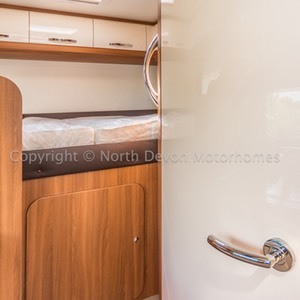 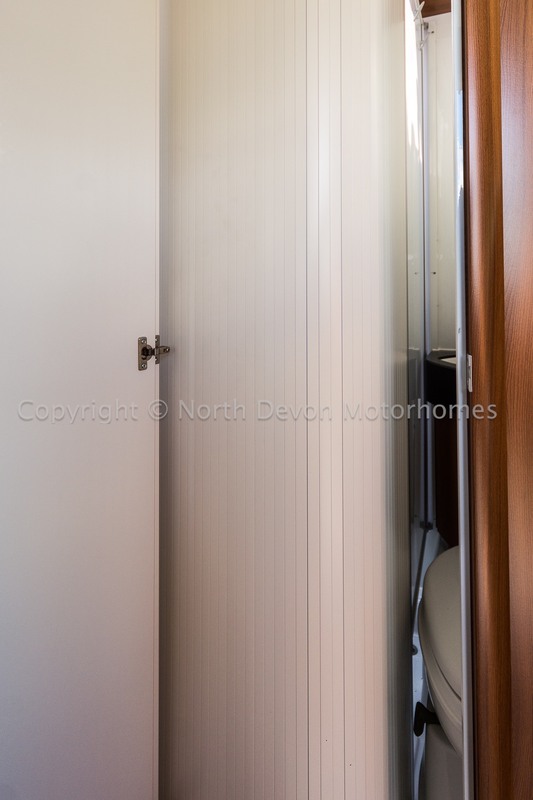 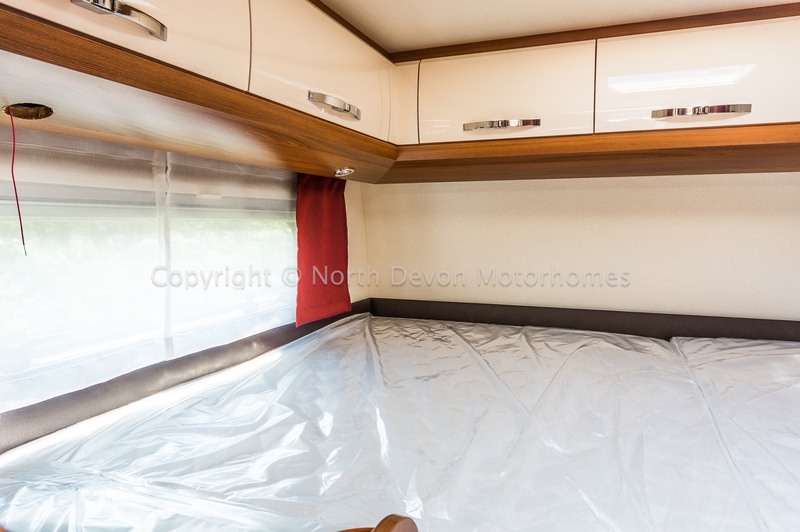 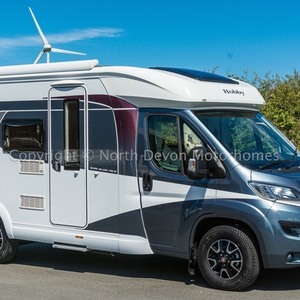 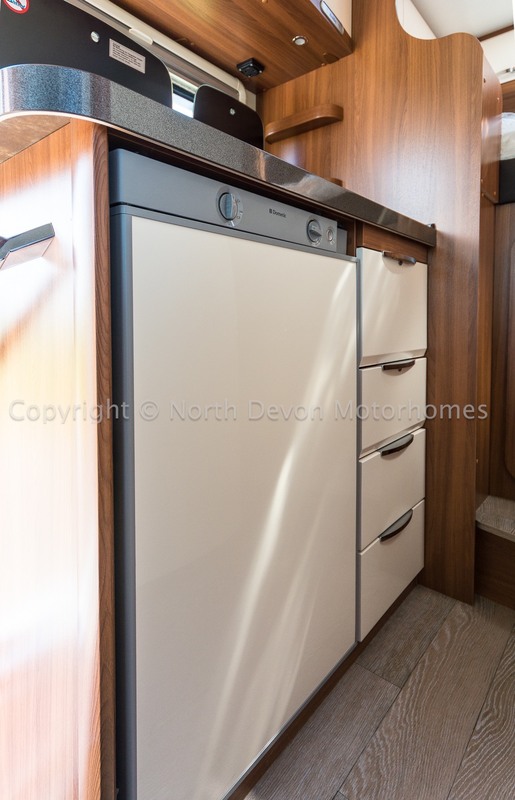 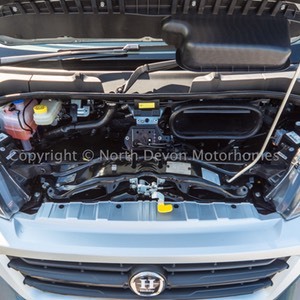 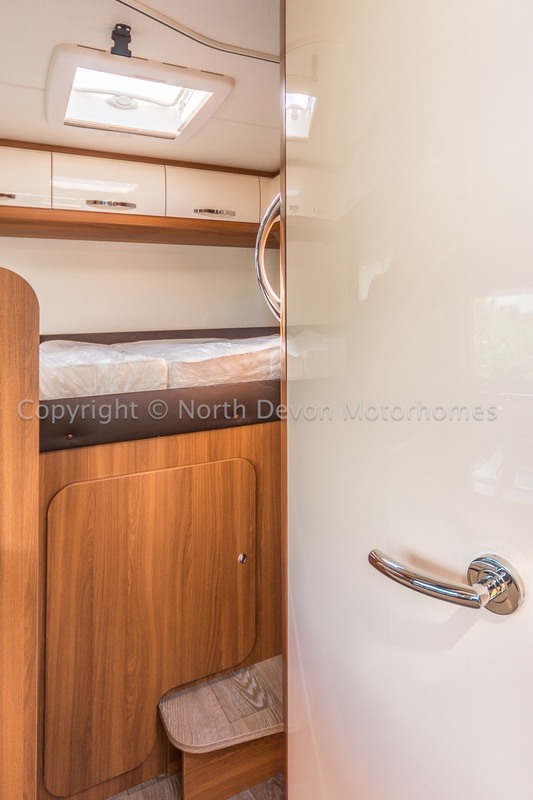 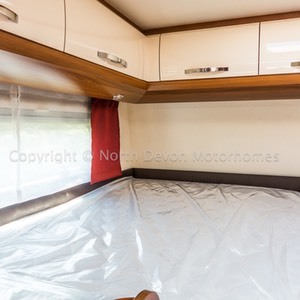 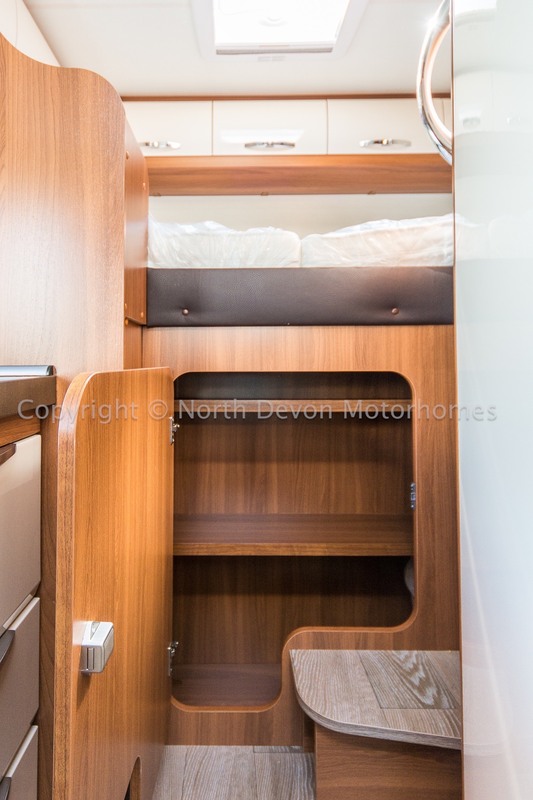 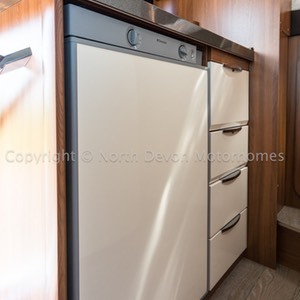 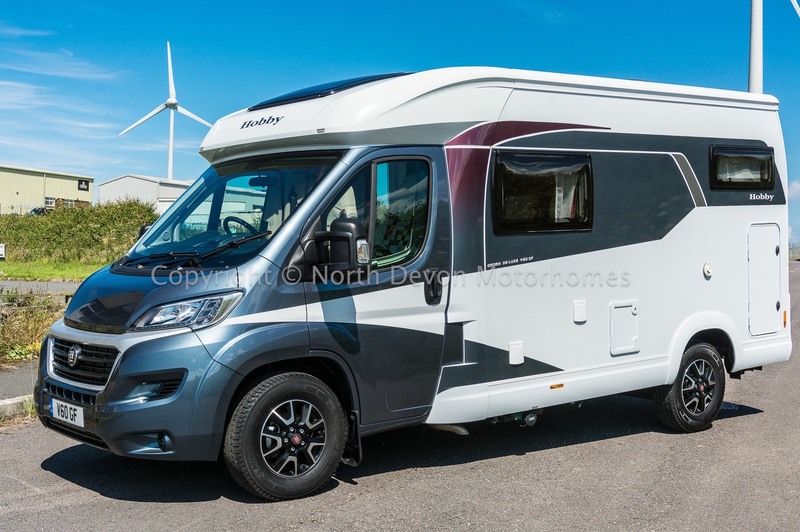 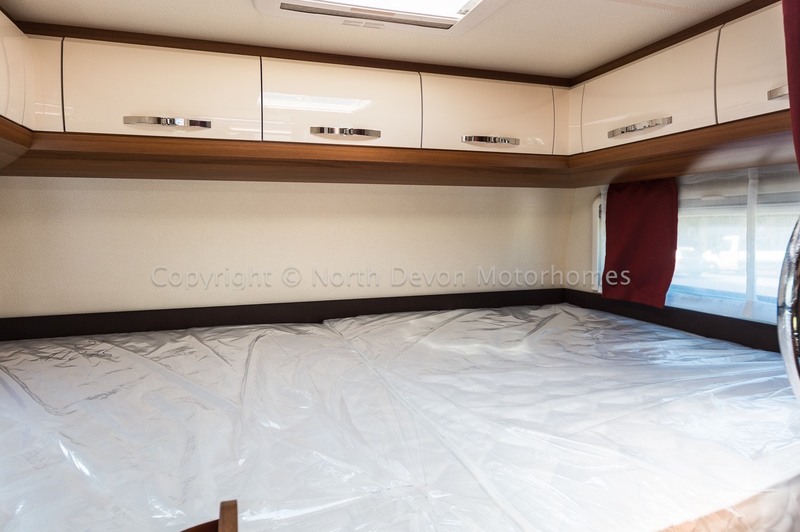 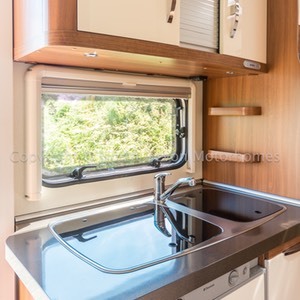 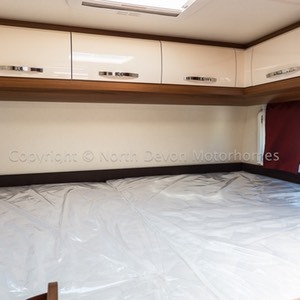 Additional Extras: Engine upgrade from 130hp to 150hp, Awning, Cruise Control, Frost protected fresh water tank, Fiat alloy wheels, Carpets for hab area, Additional bed package, Upgraded Combi 6E heating system. 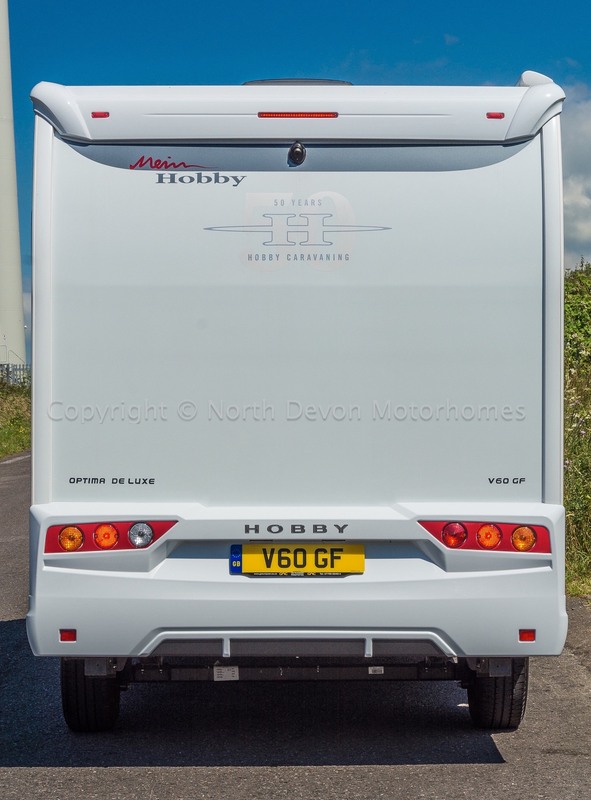 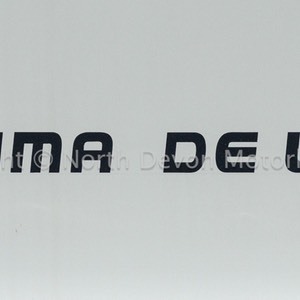 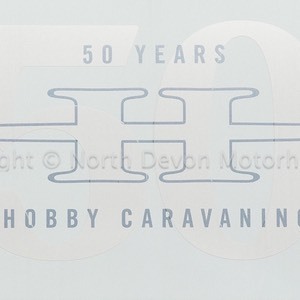 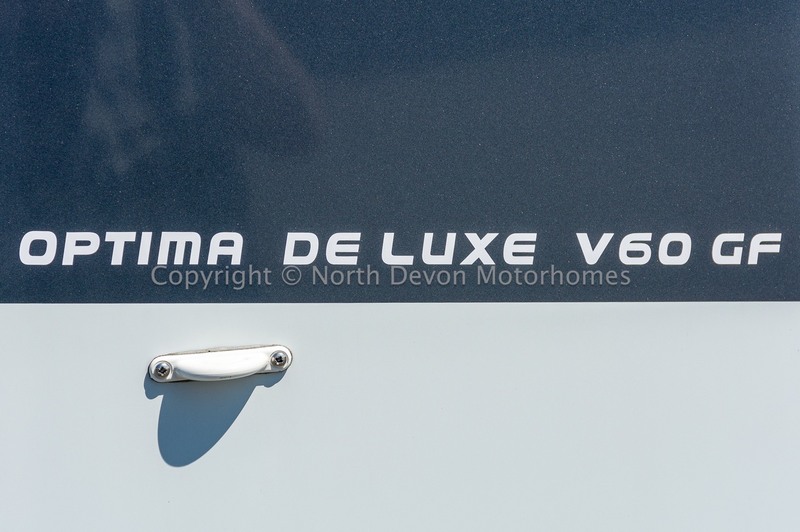 A Fantastic opportunity to buy a new deluxe unregistered Hobby Optima. 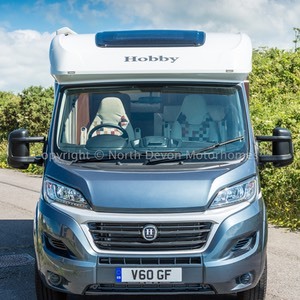 A saving of over £5,000 to be had on the 2017 price. 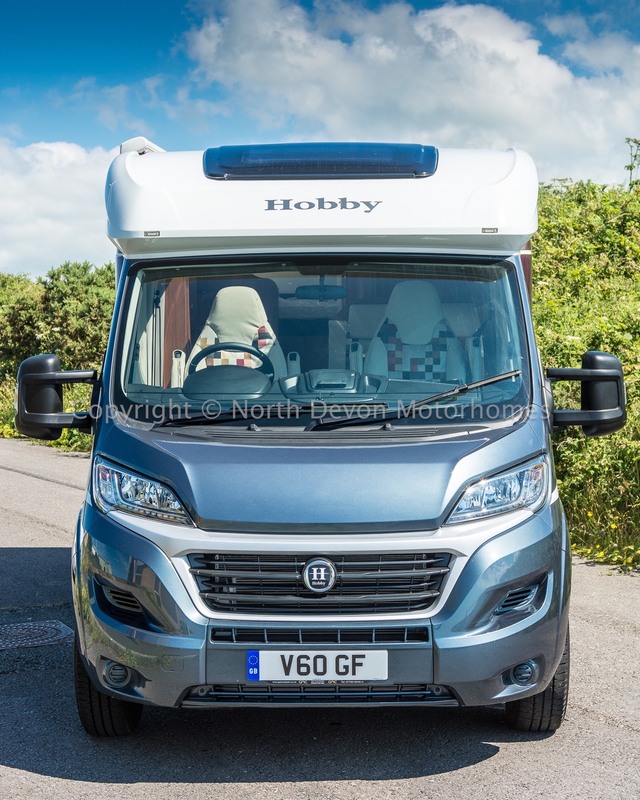 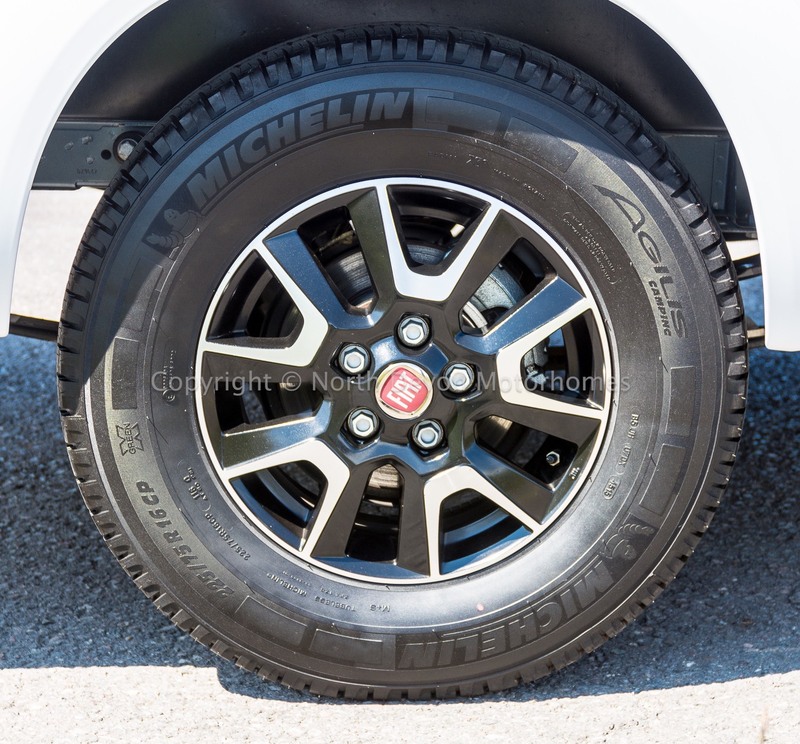 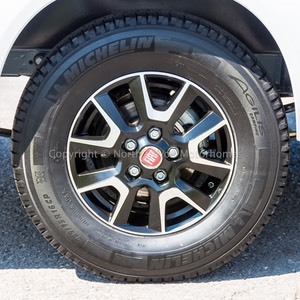 Loaded full of factory fitted extras, Comes with full Hobby and Fiat Warranty. 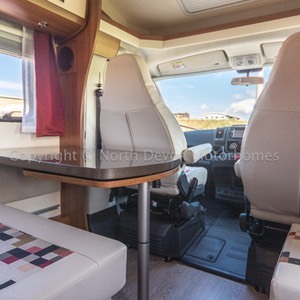 A great deal to be had with part exchange and offers considered.